Automakers charge a lot of money for optional rear-seat entertainment systems, with prices ranging up to thousands of dollars. 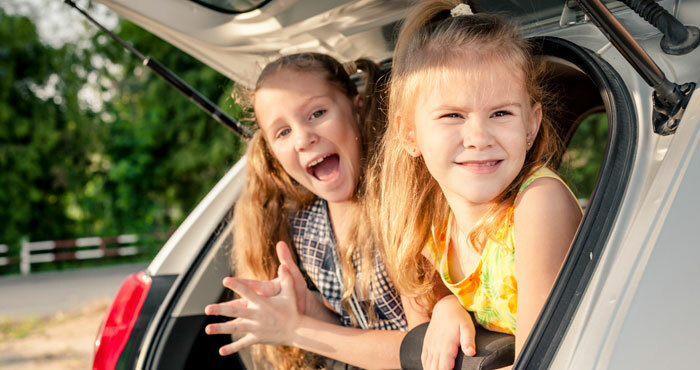 But if you'll only be entertaining the backseat passengers (kids) once in a while (on long road trips), there are much less expensive alternatives: do-it-yourself systems that you can install only when needed. Some accommodate those old-fashioned DVDs you may have collected. Others connect to smartphone, tablet or other portable devices that can stream or store downloaded videos. And nearly all are easy to set up––although, unlike those rear-seat entertainment systems built in at the factory, they will tend to clutter the vehicle's interior with dangling cables and velcro. Here are our picks of the newest and easiest to install do-it-yourself rear-seat entertainment systems to consider for your next road trip. Even if your car doesn't have a built-in entertainment system, you can still add high-end video entertainment to your vehicle. The easiest (and cheapest) option is to use your existing iPad or Android tablet and a tablet mount that attaches a tablet to the back of a front-seat headrest. This makes for easy hands-free watching, especially if kids are sharing the screen. Our favorite is the Kenu Airvue ($49.95 on Kenu, check price on Amazon), which is easily adjustable to fit different cars and different tablets. It takes seconds to mount it on the headrest poles (or your suitcase handle) — simply flex inward and it snaps into place without tools or tightening. The ball mount lets you rotate and tilt the tablet so kids can share. The mount will fit tablets between 7 inches and 13 inches, including the iPad Pro, iPad mini 4, Amazon Fire 7 Kids Edition ($99.99 including a year of Amazon FreeTime Unlimited, or just $49.99 for the regular 7-inch Fire 7 Tablet), Samsung Galaxy Tab A ($155, check price on Amazon) and many others. If you don't take frequent trips or rent a car, this is a great solution. If you're looking to mount an iPhone or Android phone, consider the Moonooda Universal 360-Degree Rotating Holder (starting at $11, check price on Amazon). The downside to using your tablet in the car is that it's still a tablet; the touchscreen interface can be awkward to reach on the road, especially for smaller kids. 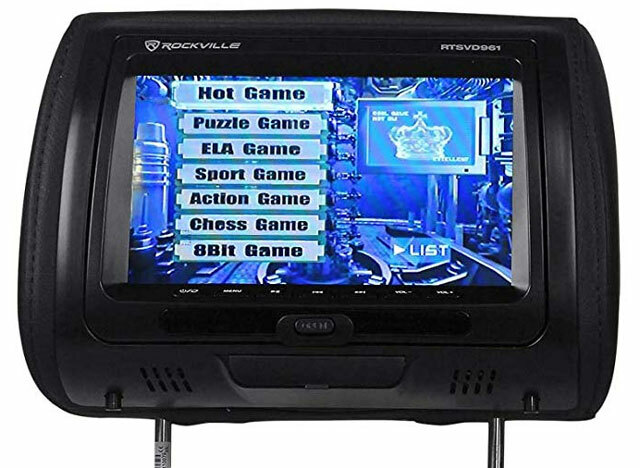 If you want a more TV-like experience (or just more entertainment options), we recommend swapping out your car's headrests for ones with built-in monitors, like these Rockville RTSVD961 Touchscreen 9-inch Headrest Monitors ($349.95 on RockvilleAudio, check price on Amazon). This pair of monitors gives you all the entertainment you need, including two pairs of wireless headphones in the Amazon bundle and two touchscreens that can play video from different sources, though it's up to you to provide the source. There's a built-in DVD player, SD card slot, USB port and HDMI output. So you can play video directly from an iPhone with a Lightning to Digital AV Adapter ($49.00 on Apple, check price on Amazon), directly from newer Android phones with an AmazonBasics USB-C to HDMI adapter ($23.99 on Amazon) or directly from older Android phones that support MHL output through their microUSB jack with a Raycue MHL to HDMI adapter ($15.99, check price on Amazon). Even with access to 4G LTE networks on long car trips, you're likely to get choppy video and/or run through your data plan. For movies and TV shows, you'll want to pack your own videos — either bring DVDs or download videos. You can download videos from Netflix, Amazon, iTunes and Google Play for playback offline on your mobile devices (here's how). You just need the app for the service -- Amazon Prime Video, Apple TV, Google Play, Netflix. If you want to watch on your computer, you have fewer options. You can download Netflix videos with the Netflix Windows 10 app, but there is no Mac version. If you want to download iTunes content to watch on your computer, you need to buy it. Movies and TV shows purchased on Google Play will only download to Chromebooks, no Windows PCs or Mac. If you want to download Amazon Prime Video to watch on your laptop, you're out of luck. If you have a car full of people all trying to watch or listen to different things at the same time, expect family harmony to fade fast. Solve this problem in advance by making sure everyone has their own headphones and headphone splitters so the entire car can share or listen alone whenever they like. Let two people listen to music, movies or television on one tablet with a simple headphone jack splitter like the iLuv Splitter Adapter ($10 on iLuv, check price on Amazon). This adapter plugs into any standard 3.5mm audio jack and lets you connect and independently control the volume for two sets of headphones. The kids can watch their favorite cartoons, and you can drive on in blissful peace and quiet. For headphones for the kids, the Puro Sound Labs BT2200 ($99.99 on PuroSound, check price on Amazon) are a great choice, offering volume control that prevents the sound from getting too loud for young ears. They're comfortable for long wear and come in an attractive purple, blue, black and pink are sure to please even style-conscious teens. And, they're Bluetooth, so they'll work with the latest smartphones. For a wired option, we like the BuddyPhones Explore ($29.99 on BuddyPhones, check price on Amazon), with their plush earcups and easy adjustment for kids as young as 2 years old. Or, if you have a built-in system that supports wireless IR headphones, like the Rockville headrests, the 2-Channel Autotain Cloud Universal Wired and Wireless Car Headphones are a great option at $19.99 on Autotain (check price on Amazon). Adults might want higher-end sound and noise cancellation capable of blocking out even the worst road trip annoyances. 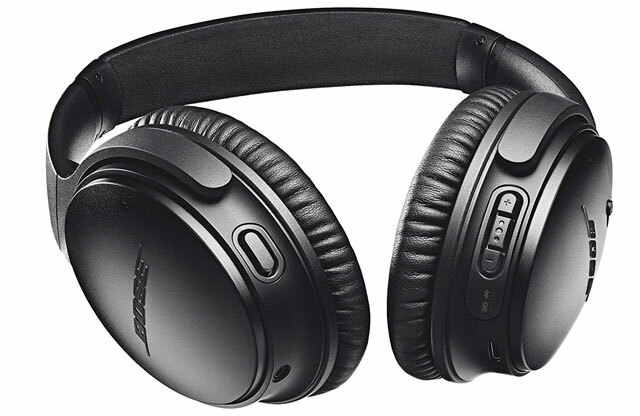 Our favorite is the Bose QuietComfort 35 Series II Noise-Canceling Headphones ($349.95 on Bose, check price on Amazon), which use active noise blocking to make your trip as peaceful as possible. They're an investment, but serious audiophiles (especially those who travel a lot) will definitely appreciate them. If you don't like the over-ear style of the Bose headphones or don't like their high price tag, we're also fans of the Audio Technica QuietPoint Active Noise-Cancelling In-Ear Headphones, which offer solid noise cancellation for only $69.95 on AudioTechnica (check price on Amazon). WiFi can be hard to come by when you're on the road. Although most of us can turn our smartphones into wireless hotspots, that can gobble up your data plan in no time. The Harman Spark ($79.99) on AT&T goes into the OBD-II port of your vehicle, so make sure your car has one before you buy; if your car was made in 1996 or later, it most likely has an OBD-II port. The Mobley shares with up to eight devices. If you have an existing subscription with AT&T, you can add it to your Mobile Share Data plan for $5; otherwise, you can subscribe to AT&T’s Spark & Unlimited In Car and Data plan ($30 monthly for Unlimited data, capped at 22GB for high speed). 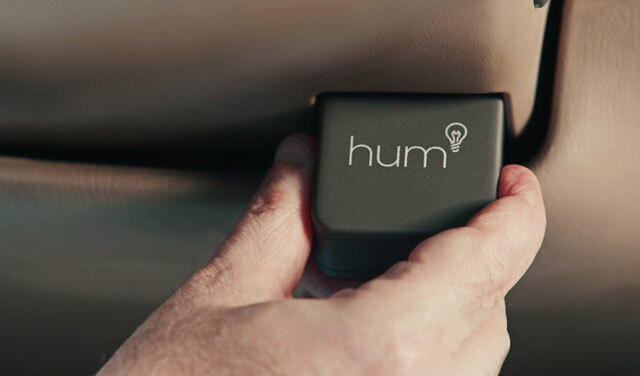 Get both Wi-Fi connectivity and car diagnostic monitoring in one device with the HumX 2. The device monitors your car's performance and provides Internet connectivity through Verizon. The device costs $120 plus a monthly access fee of $10 if you have a data plan, or you can subscribe to a Verizon data plan, starting at $15 monthly for 1GB or $80 for unlimited data, capped at 15GB for high speed in times of congestion. Even the best gadgets will run out of battery life with heavy use, so be prepared to keep your collection of high-tech entertainment gadgets charged up. There's no better or easier answer than a cigarette lighter USB charger. 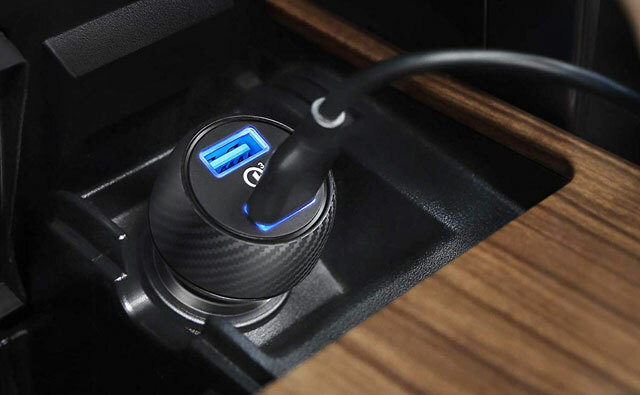 The Anker 30W Dual USB Car Adapter PowerDrive Speed 2 ($19.99 on Anker, check price on Amazon) plugs into your car's cigarette lighter and charges two devices—tablets and smartphones—at the same time. The Quick Charge 3.0 charges compatible devices to 80 percent in just 35 minutes. With all of these tech-cessories, you can look forward to a fun and happy time on the road for everyone. Back in the day, you didn’t have to look at a car loan to afford the car entertainment installations. There were other things to do, like bringing your own games, playing I-spy games out of the window and that sort of thing! Kids these days are really too pampered with technology in my honest opinion!